What are Chemical Manufacturing Companies and How Do They Work? | InChem Corp.
Home » Blog » Contract Chemical Manufacturing » What are Chemical Manufacturing Companies and How Do They Work? 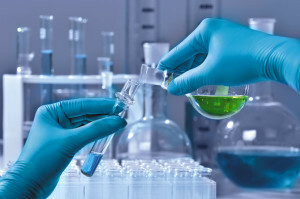 The chemical industry consists of diverse chemical manufacturing companies, including contract chemical manufacturers that convert industrial chemicals into finished product or other materials for end usefor other companies. They play a central role to the modern global economy as they help convert many chemicals and raw materials including oil, air, water, minerals, and metals into thousands of different and extremely useful products used by other industries. Chemical manufacturing also has some overlap with plastic manufacturing as different chemical companies also produce plastic alongside the main chemicals that they handle. Contract chemical manufacturing is a unique business model for chemical manufacturers. Also referred to as toll manufacturing, contract chemical manufacturing is specifically designed to provide support to other businesses wanting to avoid an increase in their own cost structure by outsourcing chemical production, as one example. Thereare several other justifications of why outsourcing is strategic; Capital investment avoidance, Internal distraction from other strategic objectives, not a core competency, etc. Partnering with contract chemical manufacturers like InChem allow these businesses to avoid the additional cost and work put into setting up their own chemical production facility as well as the burden of compliance and other regulatory concerns. The way that contract chemical manufacturing companies work is a lot like other outsourced tasks. Contract chemical manufacturers are fully equipped not only with properfacilities for efficiencyimprovements, but also with highly trained and qualified staff capable of handling hazardous chemicalsand management ofsophisticated chemical manufacturing processes and tasks. They make sure that the correct processes are definedand are followed in detail to make sure that product quality remains consistent throughout every step of the process. Using toll manufacturers to fulfill your production requirements is a practical solution to your increasing demands and the growing opportunitiesfor your own products. Companies that offer contract manufacturing services enable you to scale-up your manufacturing services and work toward achieving your production requirements in a timely manner—all without worrying about the additional work of meeting industrial regulations that apply to chemical manufacturing. This responsibility falls in the hands ofcontract chemical manufacturers, who enable you to meet your own business requirements with lower overhead, while having access to the latest technologies, equipment, and higher levels of professional expertise that these companies offer. This way, you can put greater focus on your core competencies without worrying about the consistent quality of the products that you use for your own production. To learn more about how contract chemical manufacturing can benefit your business, contact InChem using our online contact form, or call 1-800-331-7721 today.